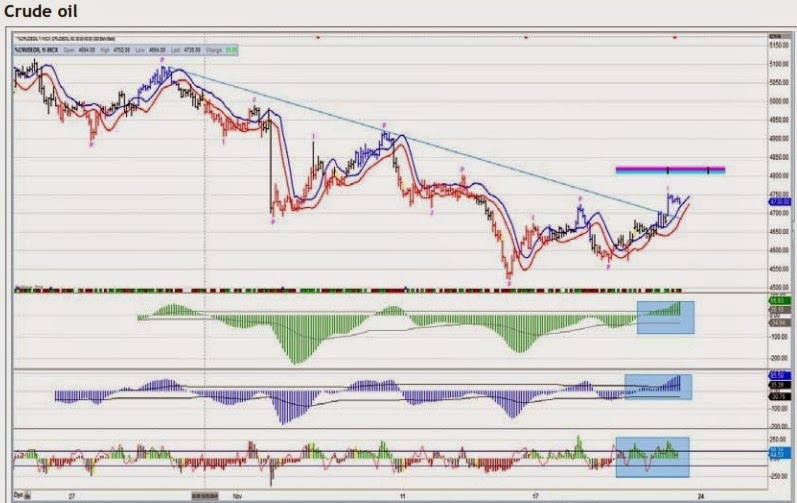 As one can see from the adjacent chart, MCX crude oil has given trendline a breakout on the one-hour chart. Higher top and higher bottom pattern formation in the commodity chart suggests bullishness. Both oscillators (5-35 and 10-70) are positive with a bullish grip. The other technical observations are that the expert trend locator (XTL) turned bullish as it has given black then blue colour from red and Get-Commodity Channel Index (Get-CCI) indicates a positive view on the commodity. 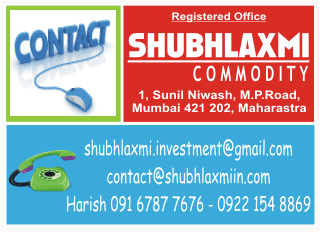 At current levels or on dips till Rs.4,700-Rs.4,680 one can buy for upside target of Rs.4775-Rs.4825. Trade below Rs.4,620 will negate a bullish view.